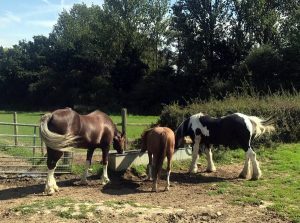 At the end of summer, the horses leave us to go on their annual holiday to a nearby farm in Barnet. After working hard all year, giving rides to thousands of children in Pony Club, Pony Rides and Therapeutic Riding, they get to run around in big green fields and rest & relax. Having a break gives them the opportunity to unwind and come back to work refreshed and re-energised. It looks like they’re having a great time already! 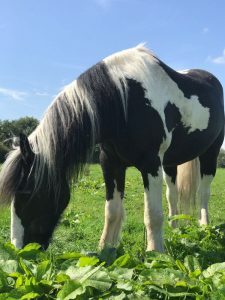 Murphy, Champion and Jester will return in October, when they are reshod, groomed and settle back into regular farm life, before restarting their busy riding schedule in the autumn. We’ll keep you posted about their return and when riding resumes.